If you are looking for information on the Relay Express franchise business opportunity, Relay Express franchises or Relay Express franchising, then you have come to the right place. Now, you can start a courier service business by becoming part of the Relay Express team when you open your own courier and delivery service franchise! 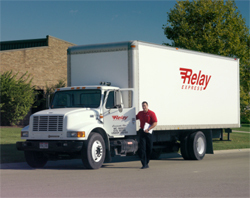 Relay Express is the premier franchise opportunity in the $22 BILLION dollar (and growing!) courier and delivery business! In fact, we were just recognized by franchise expert Candee Wilde in the September issue of "INC." Magazine as one of the leading business service franchise opportunities in the country! The changes in the business marketplace including "just-in-time" manufacturing, outsourcing and growth of online purchasing, just to name a few factors, have contributed to the growth of the delivery and courier business. 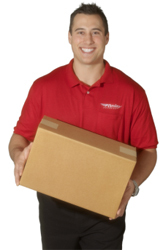 Relay Express has developed a delivery and courier service business known for dependability and efficiency. Our customers have always enjoyed the professional service we offer. We excel at providing on-demand, scheduled, exclusive driver, warehousing and cross-dock delivery solutions to local businesses and Fortune 500 companies, alike. We work with our customers in a broad array of business segments from Legal, Title Agencies and Government to Construction, Manufacturing and Healthcare, as well as many others. We deliver when others can't and add real value to what we do through providing outstanding customer service to both our small business customer and National Account customers, alike. Building on our 20 year history of success in the Midwest, our founders Robert Smith, Mike Bernecker and Matt Seiter are committed to building a national franchise system by making the Relay Express franchise opportunity available to entrepreneurs like you and are committed to your success.